Meet / Share / Learn / Have Fun Record number of participants! 38 Countries! 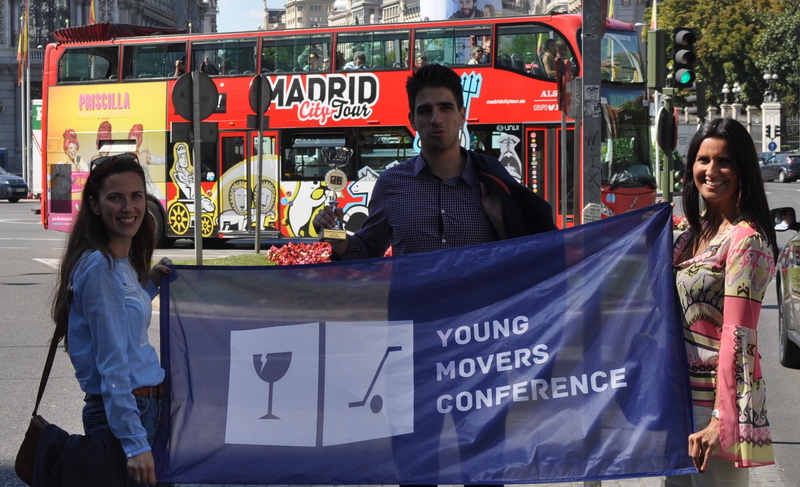 Madrid – the city where nobody is a stranger, welcomes the Young Movers Conference 2016 from Thursday 5th of May to Saturday 7th of May. YMC Madrid 2016 will be based in the heart of the town so Young Movers may enjoy the 24/7 live of this vibrant city. Madrid has a lot to offer. This event will gather for the second time not only European, but Young Movers from all over the world. The conference is officially supported by FEDEMAC and IAM. The weekend starts on Thursday, May 5th 2015, with a fantastic welcome event, and concludes with a spectacular Gala Dinner on Saturday night of May 7th with delegates departing after breakfast on the next day. YMC Madrid 2016 promises to be an outstanding blend of business and social programmes. A great opportunity to meet, learn and be inspired by industry luminaries, benefit from the range of products and services offered by our sponsors and meet and network with colleagues from around the globe. So, in a few words… why should you attend? Watch this website for more information as full details are confirmed. In case you have questions, please do not hesitate to contact us.